The Flight of the Falcon series continues with Pirate’s Price by Lou Anders. Pirate’s Price has a lot for Star Wars fans to be happy about. As the cover suggests, Hondo Ohnaka is central to the three stories in this book, all of which detail his encounters with the Millennium Falcon. You can’t have the Falcon without Han and Chewbacca, so I’m happy to report they also have large roles, but this book is certainly a boon for Hondo fans. Author Lou Anders has filled in some information about what Hondo’s been doing since The Clone Wars and his stint in Rebels. Not only do we learn that, but we also get some hints as to where the Resistance ended up after The Last Jedi. SPOILERS AHEAD…. I wasn’t really sure what to expect when I started Pirate’s Price. As The Clone Wars go, it’s probably the area of Star Wars canon I know the least about, only due to the fact there are so many stories out there. 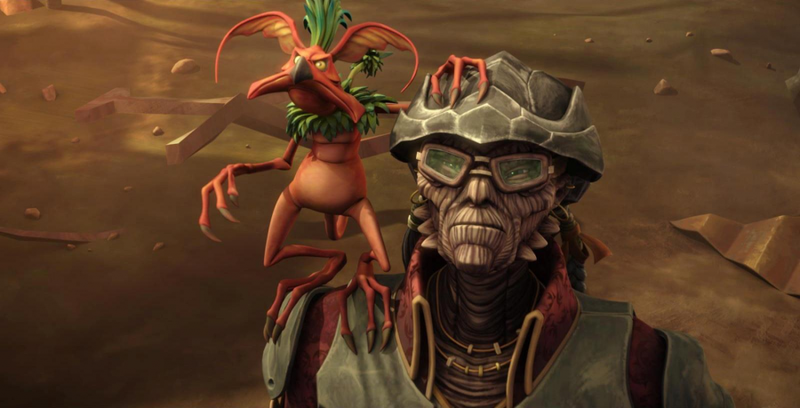 Hondo Ohnaka is a character I’ve always enjoyed in The Clone Wars and I was happy to see him return in Rebels, but I’ll honestly say it’s not someone I expected to pop-up in anything beyond those two shows. With Pirate’s Price, the stage is set for Hondo to continue popping up in the galaxy, even as far as the events in the sequel trilogy. The timeline of the stories within Pirate’s Price stretches from events just before A New Hope to all the way past The Last Jedi. I doubt we are getting a Hondo cameo in Episode IX, but with The Mandalorian just around the corner and the Lucasfilm Story Group continuing to draw new hyperlanes that lead to Batuu, the likelihood of an appearance by Hondo in future projects (most likely animated) is probable. If anything, Pirate’s Price will leave you wanting more Hondo stories, especially since the end seems to suggest he will be helping the Resistance. One of the biggest strengths of Pirate’s Price how well Lou Anders grasps Hondo. Since Hondo serves as a sort of unreliable narrator in Pirate’s Price that was no small task. I’m confident fans of Hondo will be very pleased with Anders’ approach to the character. 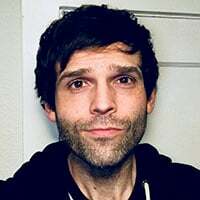 I could certainly hear voice actor Jim Cummings in every sentence, as well as Hondo’s cadence and inflection. During Hondo’s recollection, we are also offered many small detours about his life, even in the midst of the more action-oriented scenes. While that may sound distracting, it becomes endearing as the book goes on when you realize Hondo is a character who genuinely wants to pass on his recounting of historical events that may have shaped the galaxy far, far away. Just to get this out of the way, Pirate’s Price is definitely targeted at younger readers, but there’s no reason Star Wars fans of any age can’t enjoy this book. Lou Anders did a great job putting these stories together in a way that would keep a child’s attention, but wouldn’t lose any adults. The only reason I feel compelled to say this is because I know some readers who close the door on kids or young-adult books, something I’ve been guilty of myself in the past. Sure, this novel isn’t vital to the overall canon, but you certainly get your money’s worth if you’re a Hondo fan and want a few entertaining tales about where this pirate ended up. Pirate’s Price has an interesting narrative structure. It’s told almost entirely in the first-person by Hondo, but who he is telling the story to surprised me: Bazine Netal. The Flight of the Falcon series has featured Bazine trying to track down the Falcon at the behest of an anonymous employer I assume is First Order related. This has been covered in IDW’s Star Wars Advenutres comic series. She’s ended up at the Black Spire Outpost on Batuu, following a tip that Hondo Ohnaka knows where to find the Millennium Falcon. Bazine gets a lot more than she bargained for because Hondo is intent on letting her know why the Millennium Falcon is such a prize and why it’s worth the price he’s demanding. Hondo has his own stories about the Millennium Falcon. The first story is titled “A Ship To Remember” and it constitutes the bulk of Pirate’s Price. The era this is set in is sometime after Rebels and between A New Hope. A down on his luck Hondo lands on a planet called Galagolos V and encounters a woman named Mahjo Reelo who is planning a big heist. Hondo offers his skills and she agrees, giving him his first task of chartering a vessel to assist them in the job. Hondo just so happens to make the acquaintance of Chewbacca, which lands them onboard the Millennium Falcon. Despite Hondo and Chewbacca hitting it off, Han is not a fan of Hondo or the mysterious Mahjo Reelo. 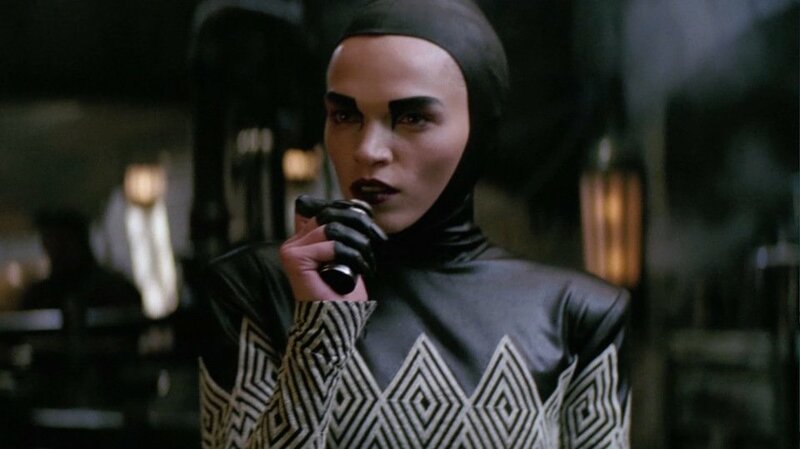 Mahjo Reelo reveals what her job is: steal a cache of Novian rubies from the Undervaults of Gwongdeen (hyped up to be impossible to break into). The problem is they first have to steal a keycard from the son of a wealthy arms dealer, which will get them access to the Undervaults. I was impressed with Lou Anders handle on Han Solo. 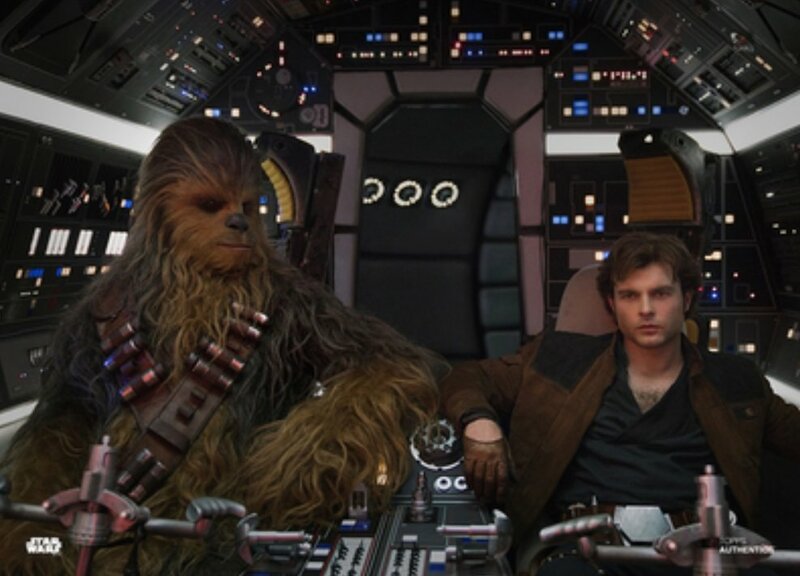 Since this is a somewhat uncharted period of time between Solo and A New Hope for the rogue smuggler, it was nice to see a sort-of bridge between the personas of both stories. Han is still finding his footing as we learn he’s in debt to a random low-life, but not afraid to take the Falcon full speed ahead into danger if he thinks there is a fortune to be found. There is an incredible flying sequence where Han is forced to use only his skills as a pilot to navigate gravity and escape through hyperspace. Readers will get all of Han’s best qualities, as well as Chewbacca’s. Reelo’s heist actually ends up being a mission to stop a renegade Kamonian from creating a biological weapon from a rare plant. Mahjo Reelo wasn’t trying to steal from the Undervault, she was trying to plant a bomb to destroy the weapon being stored there. Reelo succeeds in destroying the weapon, but encounters a clone of herself, made by the Kamonian, but at this point in Pirate’s Price, we don’t learn how she came to find out about this weapon being developed. One assumes she’s with the Rebel Alliance, but her origins are vague. The weapon was being developed for a criminal syndicate called The Mandrogonian Mob. In Hondo’s opinion, they are the worst of the worst. They end up detonating the Undervault and destroying the weapon, but Mahjo Reelo is caught in the explosion and doesn’t make it. Since Han is leaving the job without the Novian rubies he was promised, he and Hondo don’t part on good terms. The second story, “Hondo and Maz Save the Day”, takes place not long before The Force Awakens. 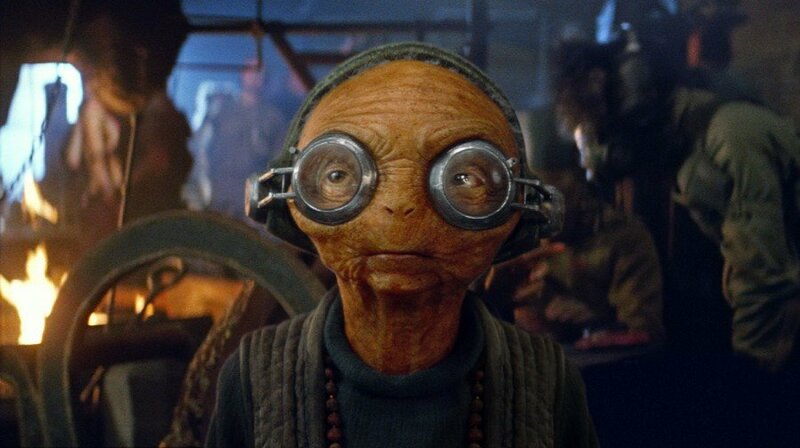 Hondo visits the one and only Maz Kanata on Takodana, where a derelict Millennium Falcon is sitting. Hondo has no shame and decides that fate has led him to the Millennium Falcon, so he should take it. Han and Chewbacca may not be aboard, but Maz is and she’s getting ready to go looking for them. There have been mysterious ship thefts around Takodana and Maz requests Hondo’s help to go searching for Han and her “boyfriend”. Maz enlisted the two smugglers to investigate the stolen ships, posing as buyers. There’s a rumored ‘chop-shop’ somewhere on Takodana, but Han and Chewie disappeared after they went looking. Hondo rolls with it and goes with Maz. Anders ability to capture these characters voices shines again with Maz. The story itself is quite brief. It turns out that the chop shop was actually stealing ships to sell to Hondo and he didn’t even make the connection. Han and Chewbacca are not happy about it. Hondo ends up saving the pair from an uncertain fate but doesn’t necessarily leave on good terms. Hondo mentions that Han appears pretty down on his luck. This second story is very brief and seems to be used more as a bridge to the end of the book, which takes place not long after The Last Jedi. “Attack of the Porgs” is the shortest story of them all. I’m not surprised at how vague the details are since this is territory a certain filmmaker probably wants to be kept in a mystery box. Chewbacca contacts Hondo for some repairs the Falcon needs after the Battle of Crait (though that battle is never mentioned). Hondo expresses sadness when he hears Han has passed away and mentions Chewbacca’s new partner – a Jedi named Rey. That’s about all the detail we get and nothing about the events of The Force Awakens or The Last Jedi are mentioned in relation to the First Order or the destruction of the Republic. That surprised me a bit since Hondo reveres history throughout most of these stories and places so much value on the Millennium Falcon because of its historical significance. Perhaps Hondo is only concerned with historical events where he was present, but Hondo takes on the repair. As we saw in The Last Jedi, the Falcon is overrun with Porgs. Hondo has come aboard, while Rey and Chewbacca are away on what I assume is official Resistance business, and departs to Batuu, where he intends to make his repairs. It doesn’t take long for an old nemesis named Trunc (who also appears in the first story of this book) to catch up with the Falcon and capture it. Hondo and the Porgs don’t remain long as prisoners and it ends up being a shower of Porg droppings from above that defeat Trunc. It’s a silly story that’s definitely going to get some giggles from younger readers, but it’s still entertaining. It sounds like the Resistance is about to get some new members! This was a nice twist and also a good way to give fans some hopes that when the opening crawl of Episode IX disappears into the infinity, they can expect their heroes will be ready to take on the First Order. I wouldn’t guess that Hondo Ohnaka will be making a cameo in the final installment of the saga with a lot of loose ends to tie-up, but fans will be happy to know he’s out there lending a hand. I thought this was a great way to bring the character into current events and set him up for future appearances. I doubt this is the last time we’ll hear from Hondo Ohnaka. Pirate’s Price is a very enjoyable book. For fans with kids, or kids who would like to share Star Wars with their parents, this would be a great book for parents and kids to read together. The stories are for everyone and Lou Anders did a great job incorporating a mix of humor that most kids come to expect sandwiched into the action and story. 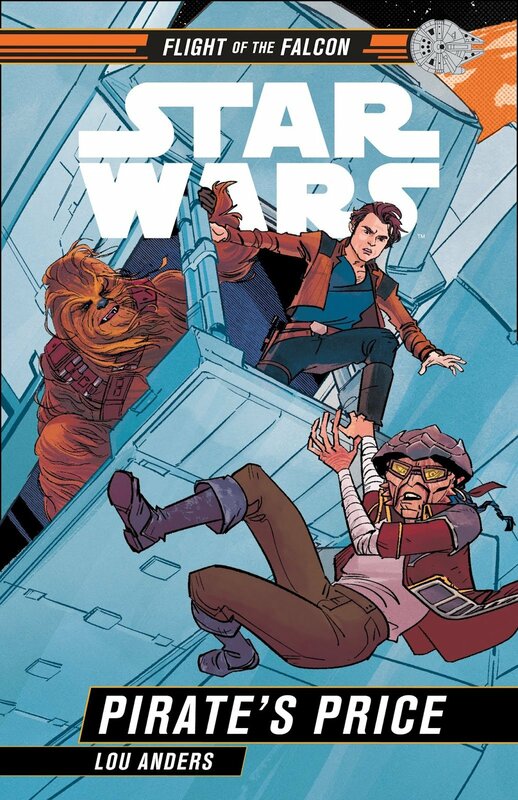 I was also happy to see Bazine Netal appear, since I’m all for moving the canon forward with more stories set in and around the sequel trilogy era. The artwork by artist Annie Wu is a nice bonus, as it’s sprinkled into critical points of each story. If you’re on the go and just don’t have time to fit Pirate’s Price into your reading schedule, I’ve heard the audiobook narrated by Jim Cummings himself is excellent and about as Hondo as it gets. Star Wars: Pirate’s Price is currently available from your local bookstore and online retailers! Special thank you to Disney/Lucasfilm Press for the review copy!